• When Calgo sets out to create a great looking property, we consider the two basic elements of landscape design—softscape—the trees, shrubs, and garden beds that give your property beauty, color, texture, and life; and hardscape—the paths, walls, or patios that add visual interest, define spaces, and provide necessary functionality. 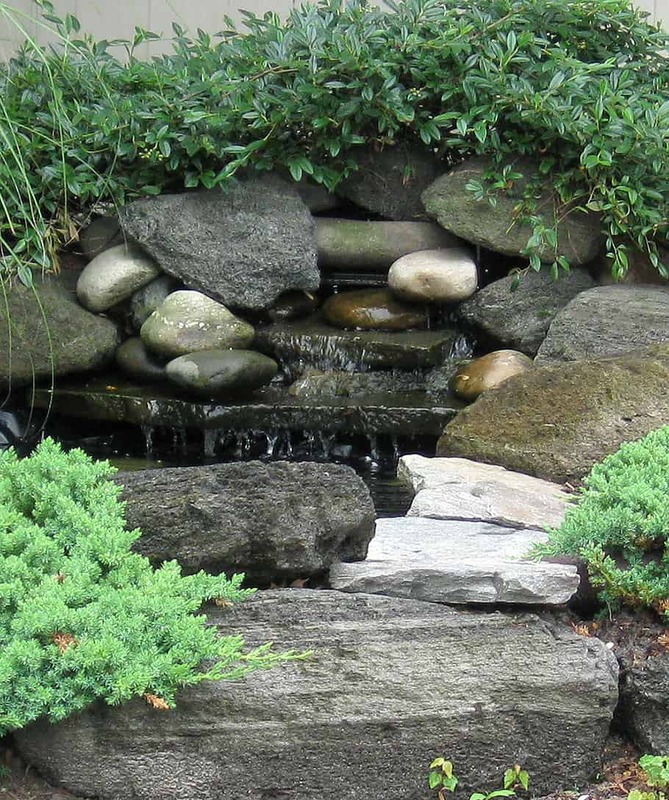 Your landscaping will grow and evolve as years go by…the hardscaping is solid and enduring. Depending on your vision and needs, we may suggest using them together or separately. 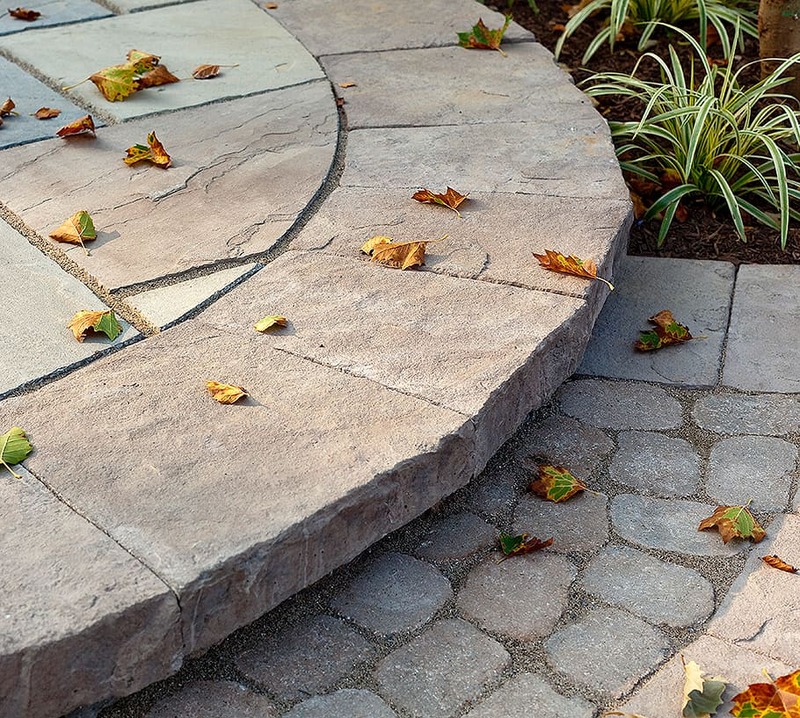 • Calgo Gardens’ mastery of hardscape marries your ideas with our innovative design. We can create walkways, driveways, patios, pool areas, outdoor kitchens, terraces, water features, retaining walls, steps, and more. You dream it, we’ll create it! 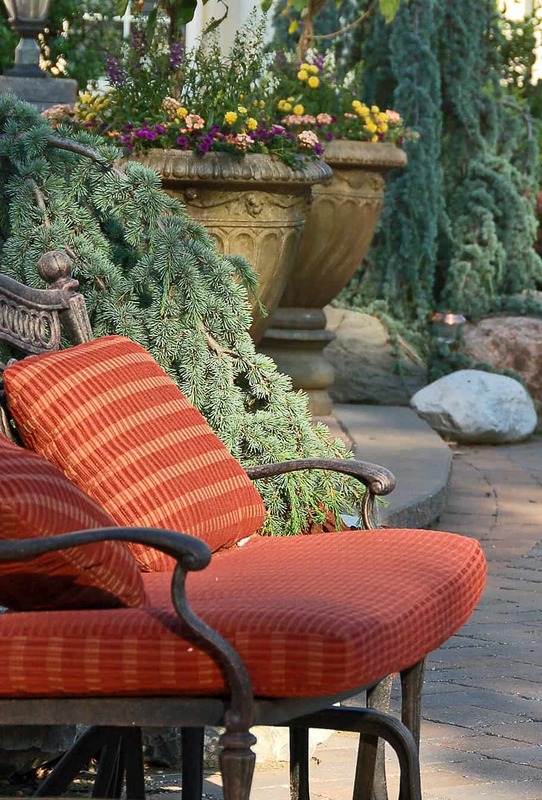 • Our nursery grounds showcase Calgo Gardens’ wow factor—our multi-level stone and hardscape patio populated with a beautiful, flowing water feature, lush container gardens, and comfortable outdoor furnishings. It is designed and installed to work in harmony with our buildings and terrain. Stop by, relax under the pergola, and check out the artistry and skill Calgo brings to every one of our stone & hardscape projects. You can even can sit outdoors and enjoy a snack from the Tulip Tree Café. • Calgo Gardens is a family owned, local business, committed to giving you individual and focused attention. Calgo’s owner and lead designer, Mark Estomin, encourages you to be involved in the process—it’s interesting and fun! We have a well-earned reputation for innovative, stunning, and signature work created by a team of hard working, skilled workers, all of whom have years of hands-on experience, great energy, and a commitment to delivering a job well done. Our installation is careful and meticulous. Your satisfaction is our top priority. • Contact us to explore the possibilities. Free consultation & estimate. Legendary customer service. Solid references.